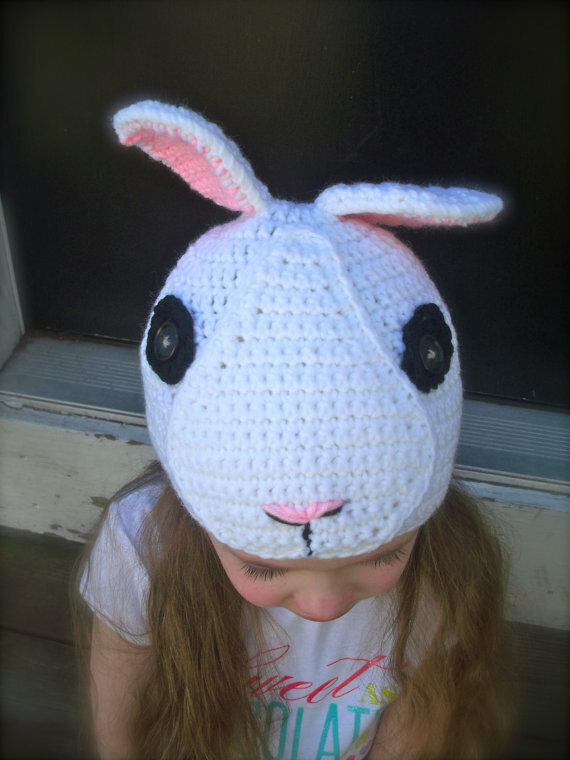 Obviously, this is not a rabbit. It is a sport. Or a hat. Your call. Don’t you just love it when something forces you to think and learn? We do! 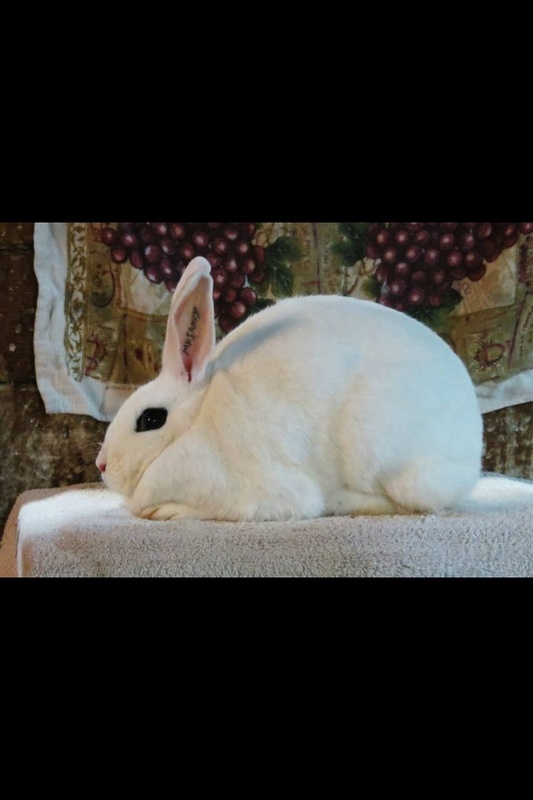 Raising Blanc de Hotot have given us a whole new topic to explore and learn. 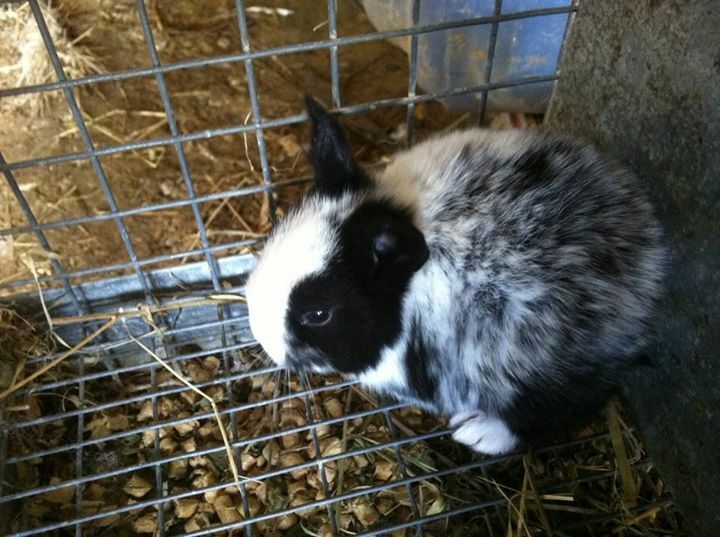 To be frank, we’re just working to figure out the genetics piece, and I’m also deep in the research different factors affecting spotted rabbits. 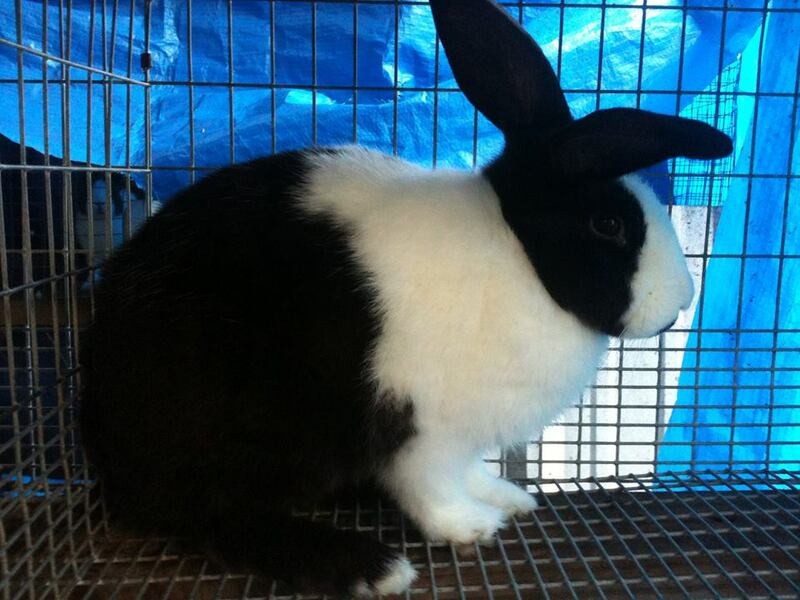 Genetically speaking, the Blanc de Hotot is a black bunny with a really, REALLY large white spot! 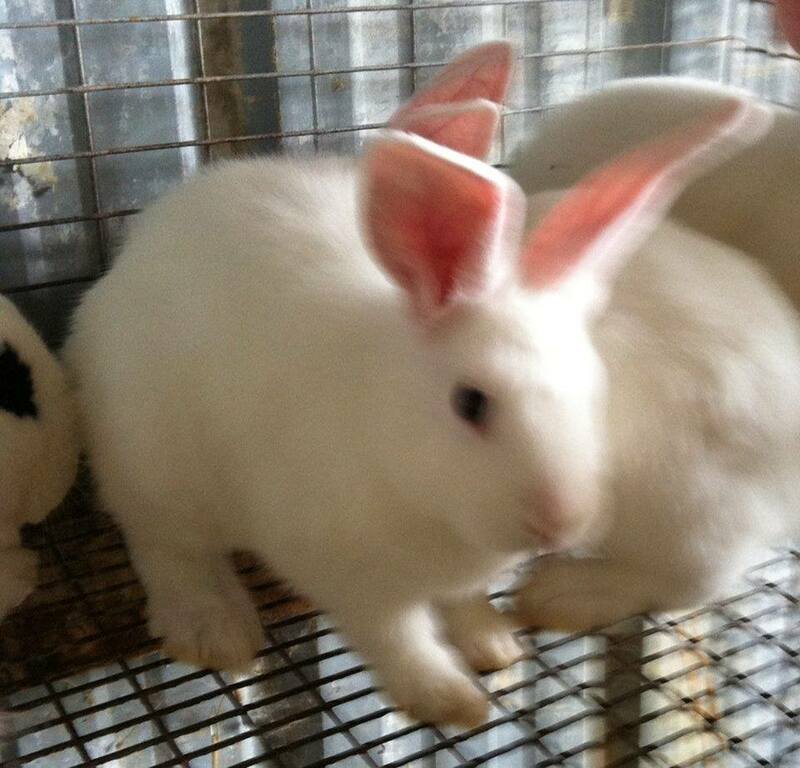 Here’s the starting point: the genetics of a purebred Hotot should be aaBBCCDDEEEnEnDudu. And the broken gene in an Hotot is also called the “English Spotting” gene. I’m sure that means something to you genetic gurus out there. I’m still figuring it out, personally! Since I’m not fluent with the genetic identifications here, another thing we’re learning is that different Hotot sports have different names. 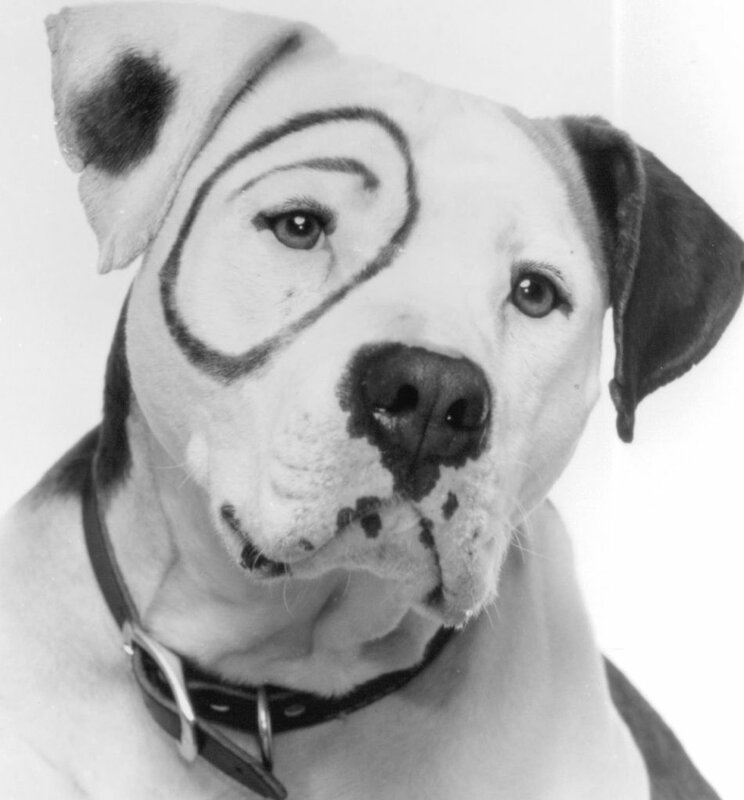 I’ve collected photos from around the internet with explanations of what these markings are called. Thank you to anyone who actually took these photos – in many cases I haven’t been able to identify the owner of the photo or rabbit. See the white silvering in the black? That’s a giveaway that you’ve got an hotot! Photo courtesy of L. Staley. 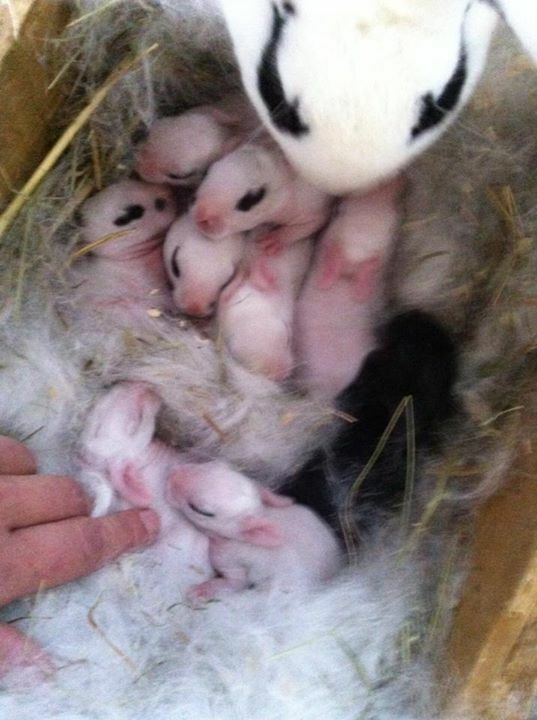 Piebald with spots – baby fur. Photo courtesy of L. Staley. I know, wrong animal. Cute nonetheless, though, right?! 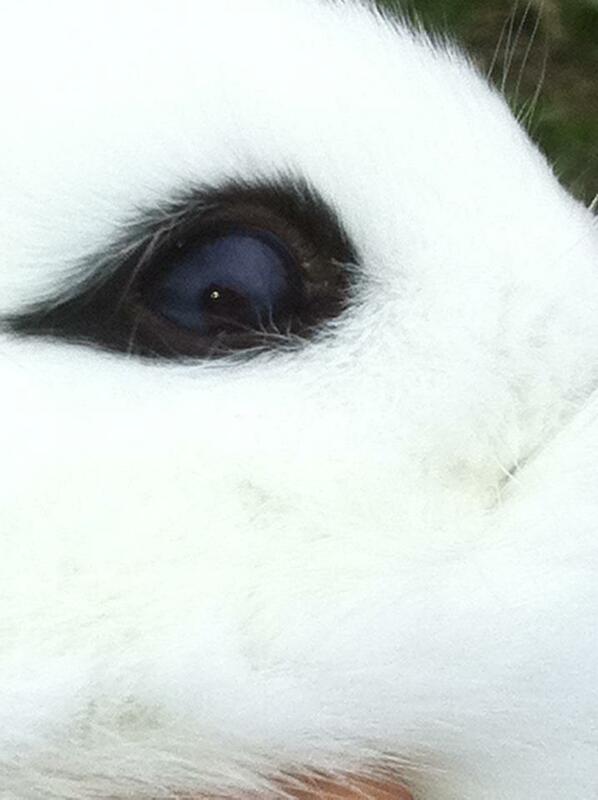 Most of the time the marbling will not be the entire eye, although it’s possible for an entirely blue iris to occur. Do you see the blue there in the bottom of the eye? Many times I am confused by descriptions and need a visual to understand what people are mentioning. I hope this little pictorial will help others as we learn about this wonderful breed. Many thanks to all who offered photos for us to see! We welcome your comments! Thanks this was interesting and informative! 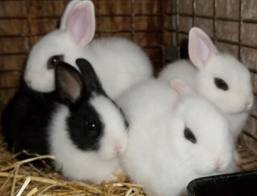 I love knowing that it’s a black rabbit with a really big white spot! Yes that really surprised me, too! 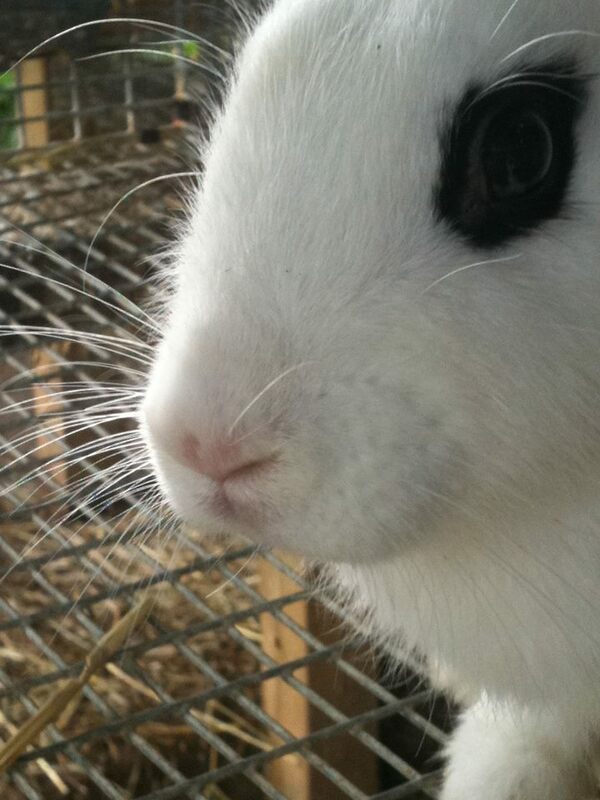 My Blanc De Hotot has solid blue eyes, no trace of Brown in them anywhere, desirable or not, we love him to death!! He has his own stuffed bunny in his cage, she is pink, and he is madly in love with her. He cleans her, snuggles her, and mates with her on a daily basis, lol. He also gets annoyed if you mess with her. He will lay over her back so you can’t touch her. It’s adorable!!! We named him Thumper because when he is out of his cage and not ready to go back in he slams his back feet on the floor as hard as he can and it makes a vary loud thump!! 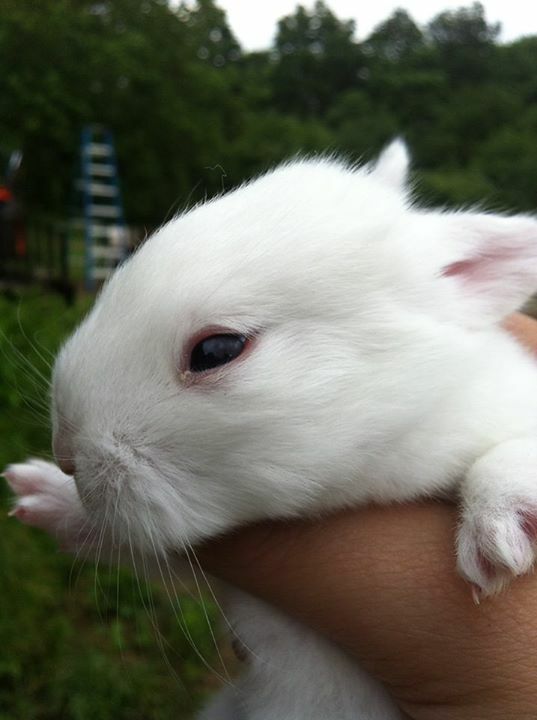 And every time you try to pick him up he hops forward and thumps! 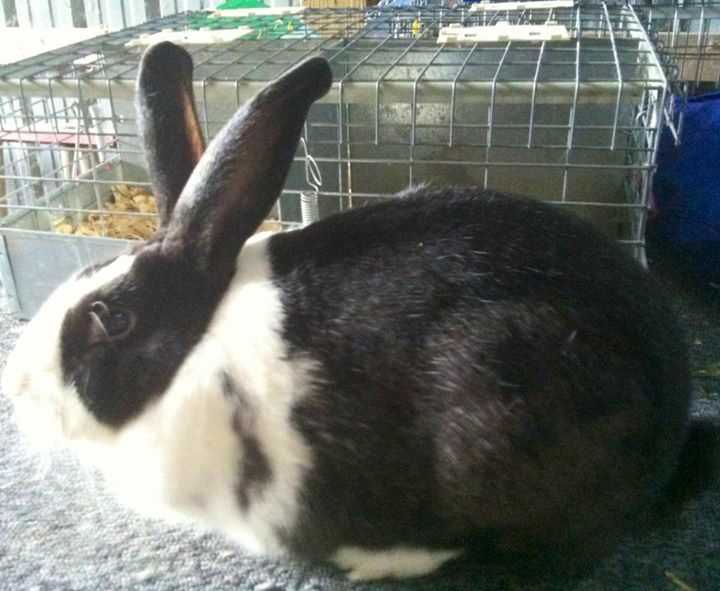 Any info you find on this wonderful breed, please post, I want to learn as much about this breed as possible to keep Thumper happy and healthy!! I can post pics as well!! 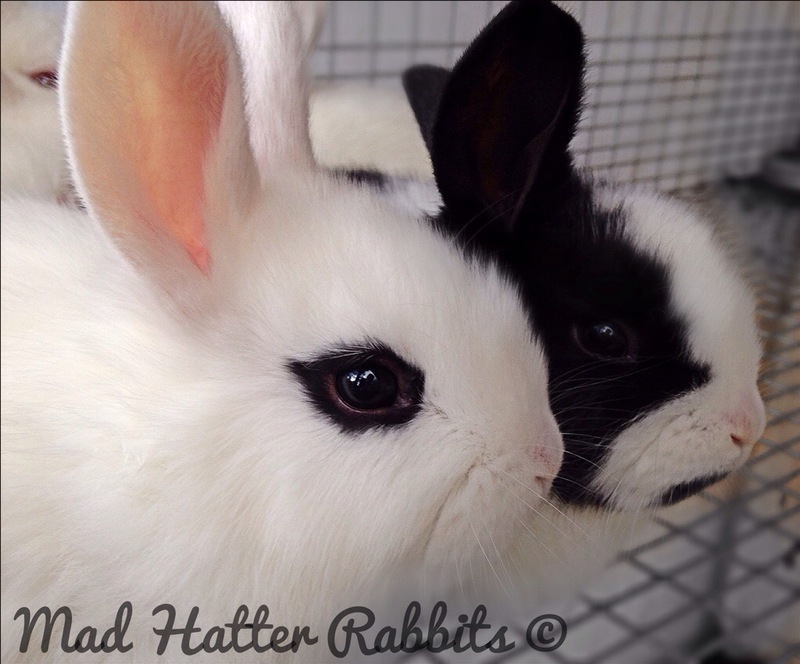 You’re experiencing the reality that a blue eyed rabbit can still have a productive life – just not as a show rabbit!